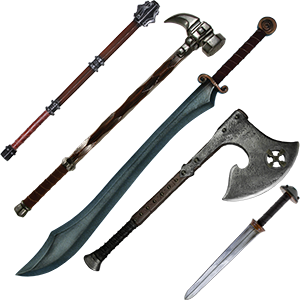 We offer more than swords here, so we have broken down our weapons by type in this category here. Here you will find not only swords of all styles, eras, and functions, but also daggers, axes, flails, halberds, maces, spears, and war hammers. 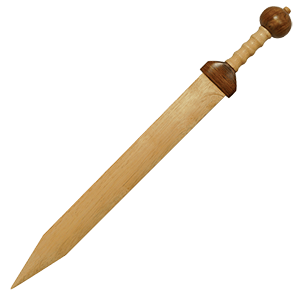 Our selection of historical and fantasy weapons is fantastic, so if you happen to be searching for a weapon that is not a sword, you are sure to find something that sparks your interest here. 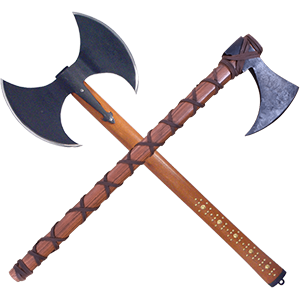 We also offer a variety of LARP weapons here, including LARP daggers, axes, pole weapons, hammers, and maces, in addition to LARP swords, of course. If you know the kind of weapon you are looking for, or you simply want an organized way to start browsing, shopping weapons by type is a fantastic path to take. 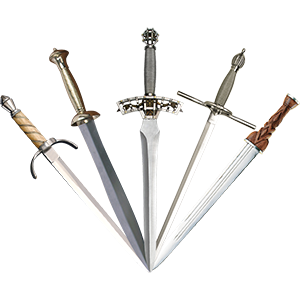 Here at Buying a Sword, we offer a wide array of daggers in many different styles, including designs from various historical periods and cultures. Our Daggers category allows you to narrow down your hunt for the kind of blade you want, while also exploring the many dagger types there are available. We carry both functional daggers and decorative daggers, though even our battle ready daggers can double as distinctive display pieces. Crafted from fine metals like high carbon steel, stainless steel, and iron, these collectible daggers work great for historical re-enactments. Explore our range of high quality daggers to see the many different options, such as fantasy daggers, Scottish sgian dubhs and dirks, Roman pugiones, Viking seax, Renaissance stilettos, parrying daggers, Crusader daggers, and many, many more. An alternative to a sword or an axe, medieval war hammers offered a greater chance of making an effective strike against an armored foe. Used mostly in the late Middle Ages, war hammers were used against mounted warriors or in close combat, depending on the length of the handle. Buying a Sword carries bot functional and decorative war hammers. 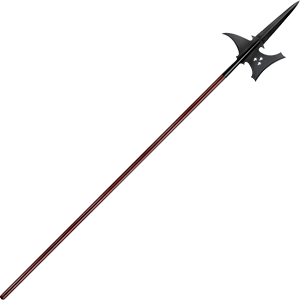 Also known as mauls, historical war hammers often featured a spike on one end of the head for grappling or piercing armour. Our battle ready war hammers are accompanied by other similar pole weapons like becs de corbin and Lucerne hammers, and they are intended for historical reenactment. 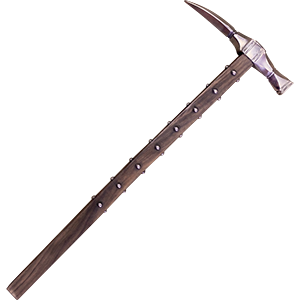 We offer a variety of styles, including English war hammers, German war hammers, and foot soldier war hammers. Our decorative war hammers are not intended for combat but make stunning display pieces for weapons enthusiasts, great theatrical props, and costume accessories for reenactments and Renaissance fairs. Here you will find all of our training weapons. 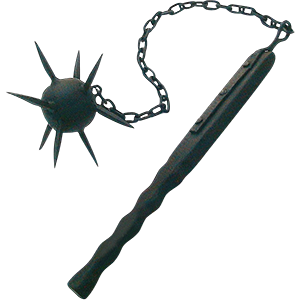 We have both synthetic training weapons, typically made of polypropylene, and wooden training weapons. 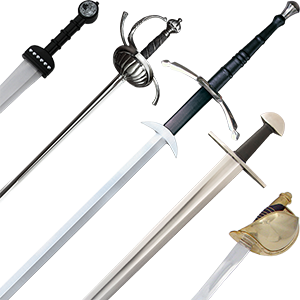 We carry more than just training swords here, so you will find practice weapons of all kinds, including training knives and daggers. 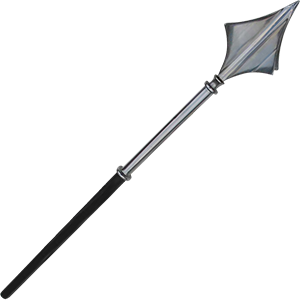 Many of these training weapons are made in styles that imitate actual historical weapons, so you will find parrying training daggers, medieval training daggers, medieval knight swords, and even Viking swords for practicing your skills here. We also carry wooden practice katana and wooden bokken. If you are looking to learn a new technique or practice your skills before taking up a real, sharpened blade, practicing with our synthetic and wooden training weapons is a must.